Learn how naturopathic approaches for end of life and hospice care can improve quality of life for patients and their loved ones. Are you ready for end of life decisions with your family and loved ones? These are important discussions to have well before issues arise. Too often health care providers see the chaos that lack of planning can have on families, and the unnecessary stress it can place on caregivers and relationships. 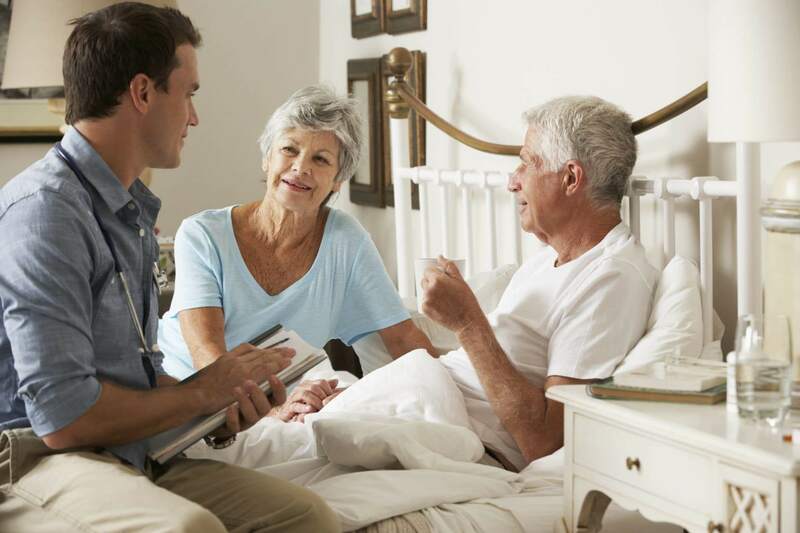 Hospice differs from other medical approaches in that the main focus is not on curing, but rather in providing comfort for a patient whose health condition is considered terminal or unlikely to be cured. Hospice patients receive compassionate individualized care based on physical, emotional and spiritual needs for what is expected to be the last six months or less of life. Similar to hospice, palliative care focuses on the patient’s quality of life rather than trying to cure the underlying health condition. The goal of palliative care is to manage pain and symptoms. Hospice is palliative care, but not all palliative care is hospice. Naturopathic doctors are an integral part of a large end-of-life patient support team made up doctors, nurses, hospice aids, social workers and clergy who each provide compassionate care addressing different physical, emotional or spiritual needs. What do naturopathic doctors offer for end of life and hospice care? Naturopathic medicine offers a holistic, whole-person approach to end of life care. When we accept that death is a natural consequence to being alive, we can embrace it fully. I participated in a joint study between University of Washington and Bastyr University in which I facilitated over 500 bedside hospice meditations. Through the power of meditation, I watched hundreds of people reduce their anxiety and fear of death, decrease their pain, regulate their breathing and find relief from suffering weeks, days and even hours before their death. Helping people have an easy transition from this life is amazing honor and gift. While palliative care is not a primary part of my practice, it sometimes is an inevitable part of working with oncology patients. At Cancer Treatment Centers of America, I use naturopathic medicine every day, modalities that are gentle but effective that can help improve quality of life for these patients. Naturopathic medicine encompasses many healing practices including botanical, homeopathic remedies, stress management, and nutritional therapies. Naturopathic doctors can safely recommend these therapies while avoiding drug-herb interactions. Many clinical studies show the safety and efficacy of natural therapies to help with symptoms like fatigue, dry mouth, grief, anxiety, pain, and wound healing. Naturopathic medicine has so much to offer those at the end of life, and for those who are in need of palliative care. I use all of the modalities available including bodywork, botanical medicine, homeopathy, etc., while also aiding in the management of medications. Regardless of therapeutic direction, offering compassionate care to patients and their families is an opportunity to connect and support each other through this inevitable part of our lives. Naturopathic doctors are gifted at BEING with patients in a way that is not as readily available to others in primary care. We are intensely aware of the patterns and cycles of life and are well-equipped to bring quality of life to the final moments while offering therapies that ease the transition. The standard of care option often results in the patient being so highly medicated, that they are not able to stay present with their loved ones, which can cause distress for all involved. I have heard many times how remarkable it is to see patients so comfortable, coherent, even joyful right up to their death. This optimization of health and quality of life into the dying process is how naturopathic medicine differs. Death is a physiological process. Naturopathic medicine can make the difference between a terrifying death filled with unresolved issues, and a peaceful death filled with joy at one’s life. Naturopathic medicine can not only relieve pain and restore hope, but can also help individuals in resolving the issues so far unaddressed in their lives. Like all points of crisis, death offers a great opportunity. Previous suppression of our own psychological issues is removed, and our true selves, problems and issues emerge, much more visible to the practitioner to resolve. Presence – Being available to listen and to lean in to the difficult conversations and moments. Homeopathy – Pain, anxiety, delirium, fluid build-up in the lungs, constipation – often related to the dying process, but also the medication side effects often used for palliation, respond well to these easy remedies and are invaluable for end of life care. Acupuncture and tui na – Between touch and the manipulation of the conductance and resistance of energy flow in the body, acupuncture and body work can offer much physical and emotional pain relief, but also emotional. Compassionate listening is one of my most useful tools. Connecting is important, not just communicating. When you have multiple disease states, you must go deeper into that person’s life to really understand how to facilitate self-healing mechanisms. I offer craniosacral therapy to the patient and to his or her loved ones. Craniosacral therapy is a gentle, hands-on method of evaluating and enhancing the functioning of the body. The craniosacral system comprises the membranes and cerebrospinal fluid that surround and protect the brain and spinal cord; however, the treatment can be applied to all parts of the body. The results of this therapy are a calming and toning of the nervous system, which has a positive effect on the entire body, including managing pain. Mind-body medicine – meditation, mindfulness, breathwork, guided imagery and deep relaxation technique training. I have witnessed with over a hundred patients the power of relief from physical, emotional and spiritual suffering around the time of death. The most touching moments are those when the dying person chooses to have their memorial while still living. One of my patients had been bedridden for two weeks and was in end stage organ failure from Stage IV Inflammatory Breast Cancer. She had not eaten or drank more than a few sips of water during that time, was weak, swollen and exhausted. She barely uttered a handful of words and simply acknowledged the stream of loved ones with a hand squeeze or a dreamy smile. But on the day she chose to have her memorial, she got up. She showered. She ate a meal. There were 65 people standing in a circle and she STOOD! and continued to do so for three hours while each person expressed their love and shared stories of her life. She was a wild life biologist, a dog trainer and a huge animal lover and requested that her loved ones give her an animal blessing. She was given the powerful wings of an eagle in order to take flight, the resourcefulness of a tiny mouse in order to muster all her strength for her journey and the roar of a lion so that we could all hear her ferocious love of life. She absolutely glowed, laughed, joked and hugged and kissed every person that came from all over the country to celebrate her amazing life. Her skin and eyes were dark yellow from liver failure and yet it was a most becoming color on her that day as the sun set and she said her goodbyes. She retreated back to her bed and within a few hours, took her last peaceful breath. Her family had been devastated by her diagnosis and decline. This powerful launch offered a healing balm and transformed beliefs around the death and dying process. Death is a natural part of a life, though it may often be met with resistance and denial. Hospice provides education on the dying process and support services such as grief and bereavement counseling for loved ones. Another resource are Death Cafes – free gatherings in which people from all walks of life gather to discuss death in an open and supportive environment. By addressing and preparing yourself for the inevitable you may live your life to the fullest today. Dying is an opportunity for us to tend to what has been left undone. With support and guidance, we can forgive, apologize, be forgiven, rejoice, and express our love. We can lean in when we have nothing to lose. Each death is as individual as each life; while we cannot predict, we can prepare.